Christian rapper Bobby "Tre9" Herring has never shied away from the "mentor" role. For over twenty years he's had the opportunity to help build, guide, or spiritually re-direct the music careers of a variety of artists including Von Won, Bushwick Bill, Pyrexx, and Austin Lanier. Now that task hits home - literally. You see, Tre9's latest protégé is none other than his daughter - Teonna Lee. 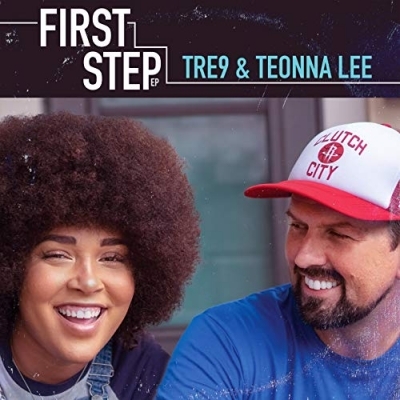 And on February 14 the duo will release a joint EP titled 'First Step'. Read More Christian rapper Bobby "Tre9" Herring has never shied away from the "mentor" role. For over twenty years he's had the opportunity to help build, guide, or spiritually re-direct the music careers of a variety of artists including Von Won, Bushwick Bill, Pyrexx, and Austin Lanier. "I met Teonna when she was just 13 years old and I started dating [and eventually married] her mother," Tre9 recalls. "Stepping into a family relationship at that point of her life certainly presented some challenges, but eventually we found ways to bond - like through our mutual love of music. So it's with great pride that I now get to introduce her art to the rest of the world."